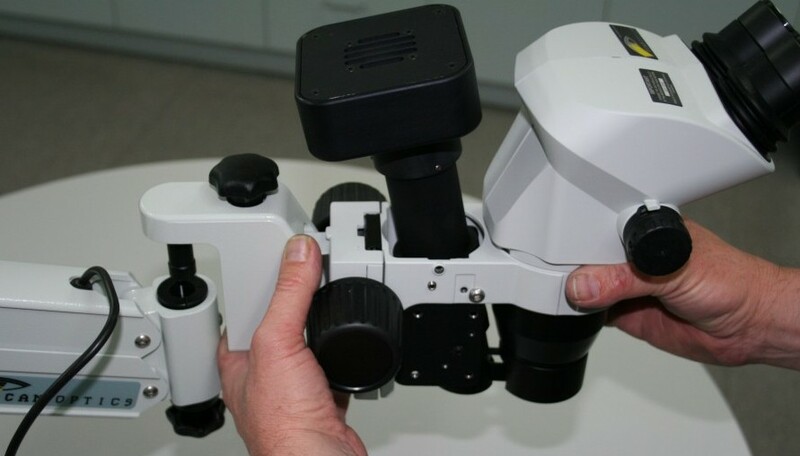 At Scan Optics, we design, manufacture and export our affordable ophthalmic microscopes to all corners of the globe. Our goal is to promote access to eye care and improve health outcomes through the use of our quality, easy-to-use microscopes. Scan Optics was established in 1987 in the beautiful and friendly city of Adelaide, South Australia. countries. This led to extensive R & D and the development of the first ever table mounted, highly portable ophthalmic microscope. Rod Watkins has been recognised internationally for his work, and his vision and academic approach has formed the backbone of our company. Since we began, over thirty years ago, we’ve been producing new microscopes yearly and refining existing designs in accordance with best practice and technological innovation. It’s this unwavering passion and dedication that secured our long list of satisfied customers and distributors around the world. We were born local and have remained a proud privately-owned South Australian company. To this day, the design, the build and the manufacturing of our products takes place at our Adelaide premises. Ultimately, no patient, rich or poor, should ever miss out on quality eye care. We believe that every eye health care facility around the world – including those that are remote or under-resourced – should have the very best of both devices and technology. And that’s where we come in. In terms of quality and longevity, our products rival large corporations – but at a competitive price point. We’re committed to our role in diagnostics and treatment, and we aim to ensure that all our customers – no matter where they are – can stay at the forefront of technology. We sell high quality products, but we also provide best-in-class after sale service. In fact, some of our customers are still using microscopes they purchased 20 years ago – and we continue to support them. We adopted a sustainable mindset long before it was a buzzword. Technology changes, but because we build flexible products, we’re able to perform repairs as needed. This means hardy, long-lasting products and incredible value for money. Our microscopes have been used to perform more than 155 cataract surgeries over a three-day period in a remote area – but can be used for even longer. In the event of power failure, there is no need to postpone surgery because all our microscopes can also be operated from a generator or a 12V car battery and are therefore suitable for work in mobile eye clinics, hospitals or offices. This increases the productivity of the skilled surgeons who have travelled great distances to help people in need. Scan Optics was one of the first microscope manufacturers to introduce new LED technology for light source. This special LED offers optimum light for red reflex and removes the hassle of changing the bulb for the lifetime of the microscope. Dealing with a privately-owned company means bespoke solutions. We’re able respond to customer needs on an ad-hoc basis and can modify aspects of our microscopes to suit you (eg. longer horizontal arms, longer poles for light floor stand etc). With her education in business and science (chemistry masters with honours accounting and business studies ), Anjula’s role as CEO of Scan Optics is the perfect intersection of her skill set and interests. Born and raised in India before moving to Kenya for ten years and then to Australia in 1990, Anjula spent a large portion of her career as an accountant and started working for Scan Optics in 2000 in business administration and accounting. Anjula progressed through the business and worked several functions, including in the sales and marketing teams. By the time she became CEO, Anjula had amassed years of experience and her knowledge of Scan Optics customers and their needs has made the business what it is today. She’s passionate about helping each and every customer and is actively involved with all aspects of the business. Blindness prevention around the world is a matter close to her heart, and that’s why nothing makes her happier than the satisfaction of her customers and their patients. Anjula lives in Adelaide and when she’s not at work, she loves to cook delicious food, go for long walks exploring the beautiful city of Adelaide, and she always finds times to keep in touch with her family and friends around the world.